“It remains a great concern that no consideration is given to a seafarer’s basic need for some recovery time when they make such long trips to join ships in Europe,” she said. 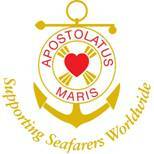 Sister Marian prayed with the seafarer and arranged for a priest to give him the sacrament of the sick. She also gave him a mobile phone so that he could contact his family back home. She also contacted the International Transport Workers Federation to ensure that he would be paid when he returned to the Philippines. This Sunday [July 8] is Sea Sunday when Catholics are asked to remember and pray for seafarers and those who support them.